Getting a new embassy up and running is a tremendous task, especially when the host city has an annual average temperature of thirty degrees Fahrenheit. Joseph Edward Lake was the second U.S. 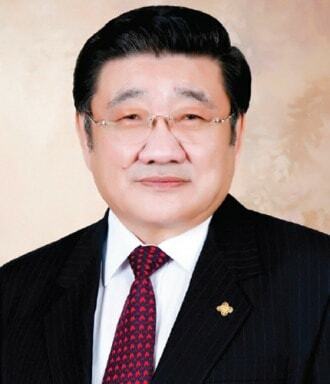 Ambassador to Mongolia, and the first to reside permanently in the country. He was charged with establishing a functional embassy in Ulaanbaatar and coordinating greater communication between the U.S. and Mongolia. Mongolia was historically a socialist state with very strong ties to the Soviet Union. The U.S. officially recognized Mongolia on January 27, 1987, and the first embassy was opened the following year. In late 1989, Mongolian students engaged in large protests against the government, leading to a call for democratic elections the following year. Ambassador Lake oversaw the first democratic elections and the coordination of U.S. and international aid for Mongolia. Lake served as Ambassador to Mongolia from 1990 to 1993. He recounts his experiences in a 1994 interview with Charles Stuart Kennedy. Read more about East Asia and the challenges of opening or closing an embassy, including in the Vatican. 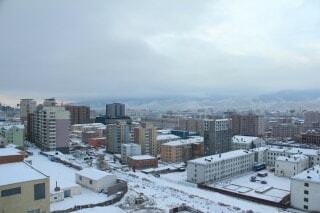 LAKE: My wife and I arrived in Ulaanbaatar in July of 1990. We were the seventh and eighth Americans to live in Mongolia since 1921…In January of 1993 we had over 160 Americans living in Mongolia. So we had this tremendous explosion of American presence. If we as Americans believe in the democratic process, if we believe in the concepts of a free market economy as we say we do, Mongolia is a place where we can make a difference. Therefore, my perspective was that if the Mongolian people voted for a democratic process, we could influence the process of change in Mongolia. 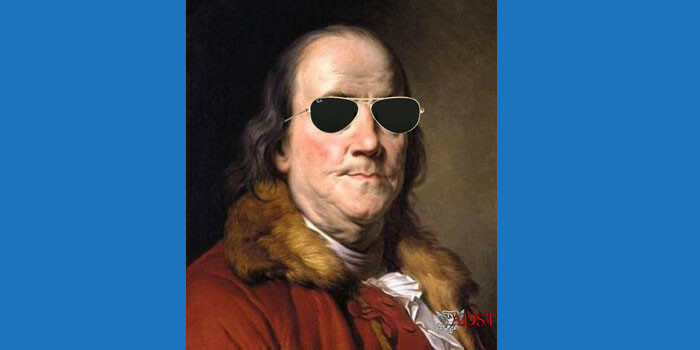 The Mongolian people did [favor establishing a democracy] and we did begin to make an effort to support that process…. 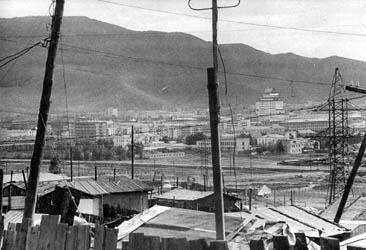 Ulaanbaatar was a classic run-down provincial Soviet city. There was no apartment for the Ambassador, because there had been no Ambassador. We had a TDY [Temporary Duty Assignment] apartment with approximately 410 square feet with one bedroom. That became the residence. The Embassy was actually slightly larger, almost six hundred square feet. It had two bedrooms. It was downstairs in the apartment building in which we lived. The problem with the Embassy was that when I arrived, there were not enough offices for me, my deputy and the administrative officer…. [At] the last minute, the decision was made for me to arrive a few days earlier. Unfortunately, the decision was made while I was in Hong Kong and before anyone had arranged for tickets or anything else at that stage. It’s still very difficult to get tickets on the trains between Beijing and Moscow, which is the one that goes through Ulaanbaatar. So instead of having three days to prepare ourselves in Beijing, we had twenty-four hours. My wife and I ended up on a Chinese train. The Embassy in Beijing arranged a berth for my wife in a compartment with a Chinese gentleman, first class, and I shared a compartment with three Chinese gentlemen in second class. The Chinese gentleman who shared the compartment with my wife was very nice and invited me to spend the night with her and he would spend the night with another friend. The gentlemen who would have spent the night with me in my compartment were all going as workers to Romania. Among the many things they had was a collection of watermelons they were going to eat on the train. But as the train bounced along the watermelons kept rolling away, so I sat in this compartment with watermelons rolling around the compartment, out into the aisles, etc. Fortunately the British diplomatic couriers were on the train. After I met them, they agreed that if no one from the American Embassy was there, they would give us a ride to the British Embassy where we could try calling the American Embassy…. The key decision on whether the Secretary would visit was whether we, the observers on the ground, felt that the elections were truly democratic. We brought in four observers, one from Washington and three from Beijing, to look at the political process. Our evaluation was that the election was a fair, open, democratic process, surprisingly so when you consider what they had been through throughout their history. The Secretary [of State James Baker] arrived shortly thereafter, within a couple of days…. We had scheduled a visit to the Gobi desert, a visit to a fishing area and the city of Ulaanbaatar as well as meetings with the government and opposition. I knew something was up when it was time for the Secretary’s plane to land and the plane kept circling the airport. Having worked in the Secretary’s office, I knew that he always arrived exactly on time. The plane landed. The Secretary got off. As we were all greeting him, etc., I was asked if there was a tacsat (satellite telephone) available. There was a military representative on the plane and said he needed to get to the Embassy right away, so we got him to the Embassy. As it turned out, as the Secretary was arriving, the Iraqis were invading Kuwait. They had been receiving the word on the airplane and that was why they were circling to find out exactly what was going on. The result was the decision to drastically curtail the planned four-day visit. There was a series of brief meetings that day in Ulaanbaatar and the Secretary left on the second day….The Mongolians were obviously very disappointed…. Mongolia was the first nation which had a long communist history to transform itself [to a democracy] or attempt to do so. In 1990, when I arrived, Mongolia was still essentially a traditional communist country from the inner core of the old Soviet Empire…. Before I arrived, the Embassy obtained its the first TELEX [an international communication system], but it had a Cyrillic keyboard. They had to type messages to send to Washington in English on a Cyrillic keyboard — a challenge all its own. By the time I got there, they at least had a TELEX with an English keyboard. But when you typed you could not make a mistake, because if you made a mistake you had to type the whole tape over again. Things got so hectic that Ted Nist, the Administrative Officer, moved the TELEX machine into a closet so he could shut the door and type without all the noise. The Embassy was so small that we took a door down and laid it on a bathtub to make a table for a Xerox machine. No one had planned for an Ambassador to be resident and when I arrived there was no furniture. The staff was frantically trying to furnish some kind of apartment for me, and a desk. The weekend before I arrived, the Japanese received a load of new furniture. 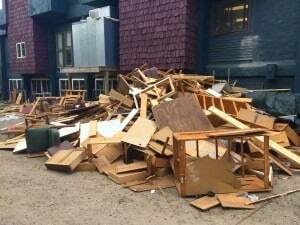 As they installed the new furniture in their quarters, they threw the old furniture on the junk pile. Ted and Mike asked if they could have the furniture the Japanese were throwing away. That is how I got my desk which I used until 1992, and the first table for the residence dining room. It was a very interesting table. It had leaves, but when you extended it to put the leaves in, the ends of the table fell off. It encouraged very small representational activities. The Japanese were happy for us to take the things off the junk pile but after several weeks they came back and asked if we were still using these things from the junk pile. We said yes. And they said: “Well, if you’re really going to use them maybe you should pay us for them.” Perhaps that gives you some idea, reflecting what we were wrestling with at that moment in time…. Because we had been the evil monster for so long, now we seemed perfect in everything that we did from an economic perspective, political perspective, etc. So to put it mildly, we were welcomed with open arms and the Mongolians were cruelly crushed that we did not do more. In September of 1990, the President actually asked me to arrange for a $230 million dollar a year assistance for Mongolia, figuring this would replace the Russian assistance. They did not even conceive of the magnitude of problems, etc. this would entail in terms of the U.S. bureaucracy. They simply saw us as the answer to everything. Institutionally they welcomed us with open arms. There were some very conservative people. The Minister of Defense, for instance, literally shook when I first saw him, I should say…He had come up working very close with the Russians and had heard nothing but the most negative propaganda about us. Mongolians as people, though, were the nicest people I had worked with up to now, anywhere in the world. 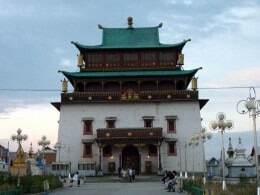 They are open, they are friendly and honest, and there is this incredible clicking between Mongolians and Americans…This is what I call the magic of Mongolia….The Mongolians were not nearly as effective in dealing with the Europeans, or the Japanese, despite all the efforts these countries were making…. You have to go back to the basic description that this post was expected to be — simply a listening post. Then they had a revolution. Secretary Baker came to believe that we should support the Mongolian people in their efforts. I saw very quickly that this was going to blossom incredibly in terms of the U.S. efforts, as it did. In the course of FY [Fiscal Year] ’91, we went from zero planned aid at the beginning of the year to over $30 million dollars in assistance by the end of the year…. In the process, we worked out an invitation from President [George H.W.] 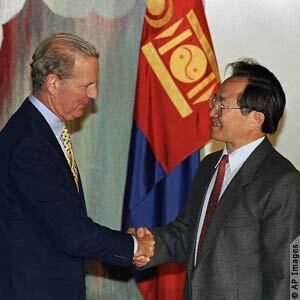 Bush to President Ochirbat of Mongolia to come to Washington….Before I left [Mongolia in September 1990], the Mongolians had elected Ochirbat as their democratically elected president in indirect elections — the parliament had selected him. I attended his inauguration. It was a fascinating blend of Mongolian traditional culture and modern trappings…The whole inaugural process was something which reached back to the roots of Mongolian history. One of the other currents that was developing in Mongolia at this time was the rediscovery of its own history. It had been suppressed tremendously during the communist era…. There was also an ideological drive to change Mongolia’s view of itself. In December 1990 I flew back to Mongolia and came back to Washington with President Ochirbat in January of 1991. 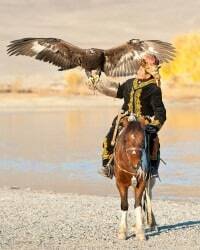 This really launched the real beginning of a major American effort to assist Mongolia…. When I got up the next morning there was a cable from Washington telling us that the problem had been resolved and instructing the team to leave an INMARSAT behind. As a result, we had the telephone in the summer of ’91, and on one beautiful Saturday night in the summer about 7:30, I happened to be in the communications center and the phone rang. So I answered it and it was Brunson McKinley, the Executive Secretary’s special assistant. We went in, went into a waiting room and in walked the Prime Minister. Of course there was no translator or anybody else. Tom [Dowling, the deputy] then proceeded — he had a Mongolian-English dictionary in hand — to explain what the situation was. Would he like to invite the Secretary of State? Would it be possible? Tom got the message across. That was late on Saturday night and they were coming on Thursday. There was only one flight a week at that point in Ulaanbaatar and that was on Monday, and if we were going to get any help it had to come in on Monday. I called the DCM [Deputy Chief of Mission] in Beijing, Lynn Pascoe, and told him what my problem was and said: “You know the people I critically need are this person, this person….Can you send them up? To his credit Lynn Pascoe sent them up. They were on that flight on Monday. They then proceeded over the next four days to put together a four-day visit for the Secretary of State…We did it all ourselves with incredibly poor communications, but we did the best we could do and put together a visit he was absolutely thrilled by. The Mongolians were also thrilled by it. The visit provided a real boost for the Mongolian process of reform because it was a very clear demonstration by a senior-level American of support for continuation of democratic reforms in Mongolia. By the summer of 1991 they were beginning to have a few bumps on the road…. 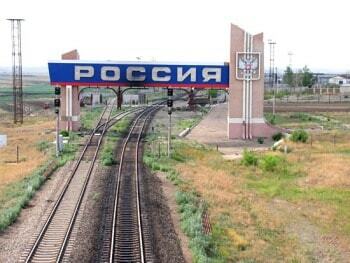 Suddenly an economic barrier came down between Russia and Mongolia. It’s hard to imagine what it means, but the best example I can think of is to imagine in the 1930s in the United States, during the depths of the depression, trying to create North Dakota as a separate country. 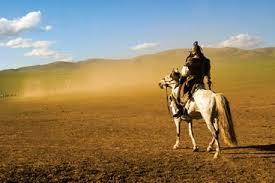 That’s what the Mongolians were facing…. The effort got started but it quickly became obvious that the lack of Soviet assistance was a critical problem. The Soviets pulled technicians out of Mongolia — the biggest immediate direct threat to Mongolia was the potential collapse of the heating system. Mongolia following the socialist system had a central heating system for the entire city of Ulaanbaatar. The vision that hung over our heads was that in January when it’s forty below you would have a collapse of the heating system. Roughly forty percent of the people of Ulaanbaatar, a city of half a million people, would be exposed to forty below weather with no form of heat. I also had to take this into account in terms of planning for the Embassy, and what the Embassy could do….We made a major effort and began to bring in assistance, critical spare parts, advisers. Simply getting it done was the challenge…. It really became a crisis in the winter of ’92-’93. You had a system which gradually began to deteriorate. Parts could not be bought, things began to get worse and worse, things could not be repaired…But because of the overall economic dislocations they had trouble keeping the coal mines producing enough in the summer so that the stockpile was smaller when the winter began and things began to go downhill. In late ’92 the biggest coal mine which supplied mainly the city of Ulaanbaatar had problems. They had drag lines which actually pulled the coal once it’s blown out of the ground out to the rail line. They had wire rope that ran it. They had spliced and spliced and spliced to the point where the wire rope wouldn’t work anymore. We got an American engineer who was there on another project. I asked him to take a look at this to see if there was anything we could do. He said: “It may be such and such millimeter Russian wire rope, but half inch American wire rope will do the job….”I was obnoxious enough and insulting enough that finally in December [USAID] flew a special charter flight out with that wire rope on it. By the summer of 1993, the Prime Minister, the Minister of Energy, and the President had all said to me that if we, the Americans, had not done that, the system would have collapsed that winter. It was the classic story of “for the want of a nail a shoe is lost, for the want of a shoe the horse was lost.” But we reversed it in fact, we found the nail to keep the shoe to keep the horse to keep the system working. But our assistance also took other forms of emergency aid. They were getting engineers in to help them figure out how to deal with issues….Without AID and the assistance from the American companies in the energy sector, they simply would not have survived the winter of 1992-1993 with an operating heating system…. In Mongolia you had a different cultural gap. You had people who were college educated, who understood the new things, but had been trained in an entirely different way of looking at things. Quality and efficiency were not key elements in the Soviet structure. A simple example on a very basic level is that we had Mongolian technicians who worked for the Embassy. We brought an American to install a generator in the Embassy and build a building for it. The Mongolians had never seen a level. If you go to Mongolia, the windows aren’t square, the doors aren’t square, because they didn’t use levels. These guys quickly learned to use a level and then used it all the time. It was great fun for their people. Suddenly things could be square and they could be right. And so that’s the kind of cultural gap that is hard to understand but it was there constantly. That was the key thing. That is why having Americans who would work with people on the ground made a tremendous difference. Similarly with the American engineers who came to work on the power system. The ones who were really successful were the ones who went into the plants with those guys, who went into the coal mines, who talked about these things and helped them to bridge this cultural gap…. I studied Mongolian and when I went back in January of 1991 I spoke on TV in Mongolian. That made a tremendous impression on the Mongolians. As some said to me later, none of the Russian ambassadors ever spoke to us in Mongolian. Now in my view Mongolia is one of the few countries which truly progressed under communism…Mongolia had a tremendous system of rural health care delivery and rural education delivery. You had schools scattered around the country. The literacy rate was in excess of 95% in Mongolia. You had schools and clinics and hospitals all over the country…. I pushed the — willing, I would add — United Nations Development Programme director to play the lead and supported him very strongly. We were successful in getting a group organized. I can’t compare it to any place else in the world. I can say it was the most successful real coordination effort I have seen to avoid duplication among the aid community. It required a lot of support, of determination, but it really worked…. 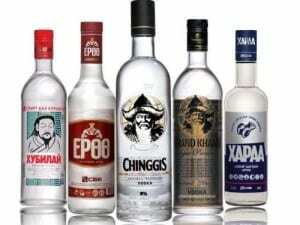 The Mongolians in fact have their own vodka. I am not a vodka drinker, but people who are tell me that the Mongolians produce some of the best vodka in the world. One of the great schemes of every businessman who came there was to figure out a way how you could export Mongolian vodka into the United States…. They produce a very clear and powerful vodka that is much stronger than any you can find in the United States. I thought smoother, but then again I’m not a vodka drinker so I’m not the right person to make a judgment on that…. In the spring of 1991, the Land Cruiser which was used as my official vehicle part of the time was in an accident. It was hit through no fault of the driver. But the grill was damaged and the frame bent. My driver was very creative. He went and got it straightened and put a two-by-four in the frame. We couldn’t replace the grill, so he got an animal hide and painted it the same color as the car. We used an animal hide in place of the grill. Eventually we got the parts, but it was that sort of day-to-day life challenge that made it incredibly difficult along the way…. Looking backward, my thought was we have accomplished a tremendous amount. I was there at a period when a country rediscovered its own history, tried to build a new society on democratic principles, and a free market economy with many ups and downs along the way. We could have done a lot more, we could have accomplished a lot more, but we accomplished a lot with what we had…. The only interest in Mongolia is if we support the ideals of free democracy and enterprise. Mongolia was one of the places we could make a difference. We were still making a difference at the time I left…. Mongolia is potentially a very rich country in terms of petroleum resources. 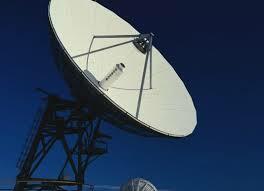 It also has other natural resources: gold, silver, zinc, copper, things like this. Some American companies have begun to explore into this areas. Major economic ties might develop if American companies became involved … It is a place where we as Americans have made a difference.